Building a website is an extensive process that can oftentimes be overwhelming. To make the process smoother and help you understand what to expect during design and development, I’ve outlined the website design process into 4 major steps. This first phase is incredibly important. I will do a deep discovery session to learn as much as I possibly can about you, your business, your goals, and your expectations. This information will be be used to create a strategy that will convert more sales so you can grow your business. The discovery phase is required because I believe in giving you a website that works. Once the discovery session is complete, I get to work on creating stylescapes and wireframes. Once the wireframe is approved, I will use the stylescape to create a mockup to show you what your site will look like (brand colors, copy, imagery). This will be used to show you what the site will look like (imagery will change as I use stock photos as-needed). Once the layout and design is approved, I will begin to build the site (pages, functionality, plugins, and customization). Your site will be optimized to look great and function as-needed on tablet and mobile devices. Once the site is ready for final review, you will be able to review each page and we can make detailed edits until the site is ready to launch (with a limit to 3 revision cycles – more will incur an additional charge at my hourly rate). I ask that you please review ALL pages to make sure the spelling, grammar, and information is correct before going live. In the Discovery Phase, I gather information about your new website. I will collect information from an existing site, if you already have one, marketing collateral you have, and anything else that will help develop the messaging and content of your website. We’ll hop on a call to discuss what is working (and what isn’t), your goals, and needs. If necessary, I may ask you to fill out a website workbook planner. For fully custom builds, you will not be required to fill out a website workbook. We will cover everything in the workbook during our discovery session. For the Small Business Website Plan, I may ask you to fill out the workbook in order to save time so that we can begin building your site more quickly. 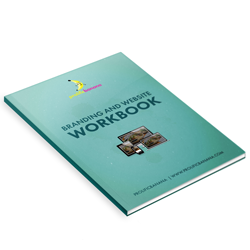 The website workbook is a questionnaire designed to help you in planning the messaging and layout of your new website. 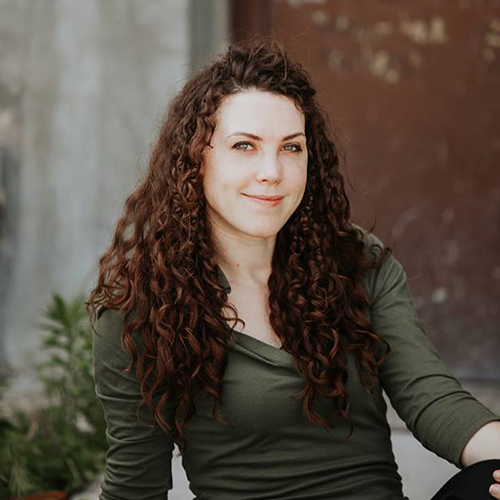 Asking questions about your ideal visitor, your own processes, and your specific call-to-actions help me make your website as effective as possible. The first week of the project we will have a discovery call. We’ll discuss the website workbook, your website goals, timelines, and everything else needed to get your project started smoothly. The discovery call can generally take 60-90 minutes depending on the size of the website project. The discovery call will be scheduled after the initial payment has been made. The discovery session is a requirement to continue the project, otherwise you will be refunded your initial payment and project will be cancelled. I use Google Drive to collect information from you. I use this because it allows us to work collaboratively as well as record all past activity. You will receive a dedicated folder for your project. Inside this folder will be sub-folders for each page of the website. Content and images for each page are to go in the corresponding sub-folders. Revisions are to be made on a Google Document. Create a new page for each website page with the revisions requested. I will go through them and highlight what is done and leave comments on anything else that needs further clarification. I use Dubsado to house all of the official paperwork, like contracts and proposals. I also use it for billing, so payment information and invoices will be available for you to see in your custom client portal (you will receive access information once we begin the project). I am not responsible for spelling and grammar. I ask that you check all of your content for these before giving them to me. I will copy whatever you give me and put it into the site. For an additional charge, I am happy to proof-read your content and/or write content for the website. In the Design Phase, I research to find the best way to lay out the homepage and interior pages to accurately reflect your goals and ensure your messaging is correct. This is a huge part of the website build. Wireframes are exactly how they sound, basically a layout using only outlines in a monochrome palette to show the layout of the site. It’s far more efficient to layout the site assets using this method. Colors and fully mocked-up sites add confusion in the early stages of design. This allows us to make decisions quickly. After the wireframes are approved, I begin to work on a high-res mockup. This phase you will see how the site will look with your branding (colors, typography, imagery if possible, logo, etc.). I will use stock photography at this point so that we can quickly review and more forward towards developing the site. You will see the site through PDF’s. I typically do not start building on the development site until these are approved. If there are specific animations or transitions you’re wanting, please let me know during the discovery call. After you approve the site design, we move to the Development Phase. This is the first page a website viewer will see. Blog Pages & Posts, Lead Capture Pages, Industry Specific Pages, etc. In the Development Phase, I begin developing the entire site, including all pages, and add all the functionality and plugins. I will make sure your site looks great and is optimized to work on desktop, tablet, and mobile devices. I develop the rest of the website, importing any content from a previous website, and any custom functionality your site may have. I will replace the filler text and images with ones you have supplied. I also create and integrate any custom functionality you requested for your site in the Discovery Phase. After the site is fully developed, I will move to the final phase before launching your website. I add all the content, images, and videos that you have supplied. I build out the Blog Pages, Industry Specific Functionality, Custom Coding, etc. I ensure your site looks great on all devices and browsers based on the project scope. In the Edits & Revisions Phase, the site is ready for final review and you will be able to review each page and we can make detailed edits until the site is ready to launch (up to 3 revisions cycles – any additional revisions will incur an additional charge at my hourly rate). When the site is ready, you will be able to review the entire site from top to bottom. Please take the time to review each page, and if there are any spelling, grammar, content, image, video, and information errors, please list edits in the Google Doc. I will make those revisions as soon as possible. After you are done reviewing the site, you let me know so I can start the process for launching the website. Check every page for any content, spelling, grammar, image, link, and/or media issues. If I am managing your website and hosting, you will receive an email detailing my support and management process and package options. Don’t worry, we take care of everything so you can focus on running your business. If you are managing your website after we launch, you will receive all the logins and credentials via secure e-mail. If you are interested in having ProlificBanana managing your website, please send an email to [email protected] to get started.